The Stormr Fusion Series bibs are made with VAPR tech technology. 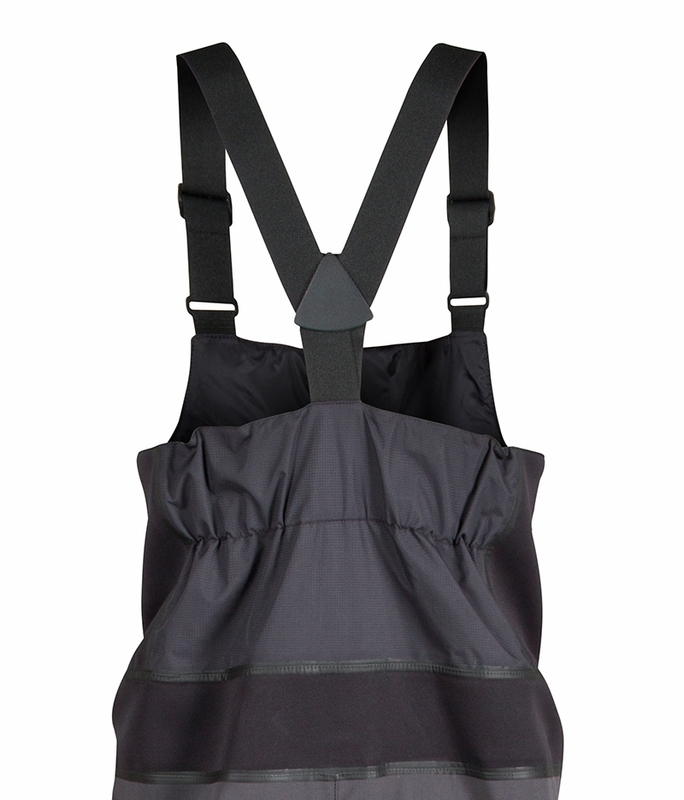 The shell of these bibs is DWR treated, windproof, waterproof, and breathable, and combines with high stretch neoprene panels for increased range of motion and superior comfort. The Fusion bibs are the perfect addition to your lightweight rain gear, and pairs well with the Stormr Fusion Jacket. 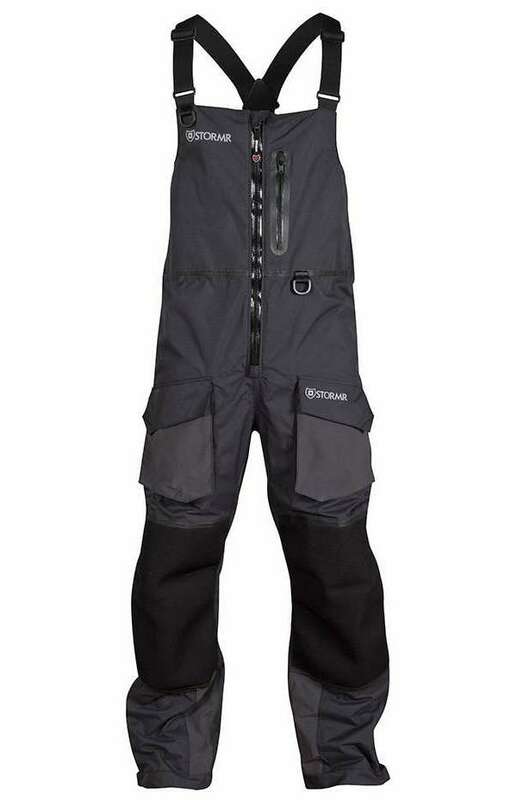 I have the Stormr R215MP-02 Mens Typhoon Bib which are great but you cant wear them in weather above 50 degrees, if that. You'll sweat to death. So I was super pleased to see Stormr come out with a warmer weather option. 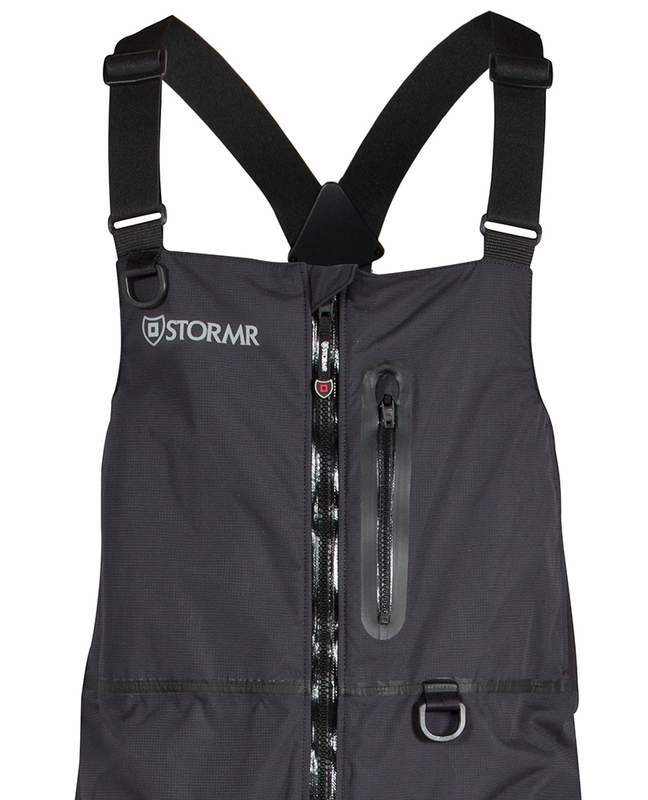 These bibs are the top quality construction and materials that you would expect from Stormr. 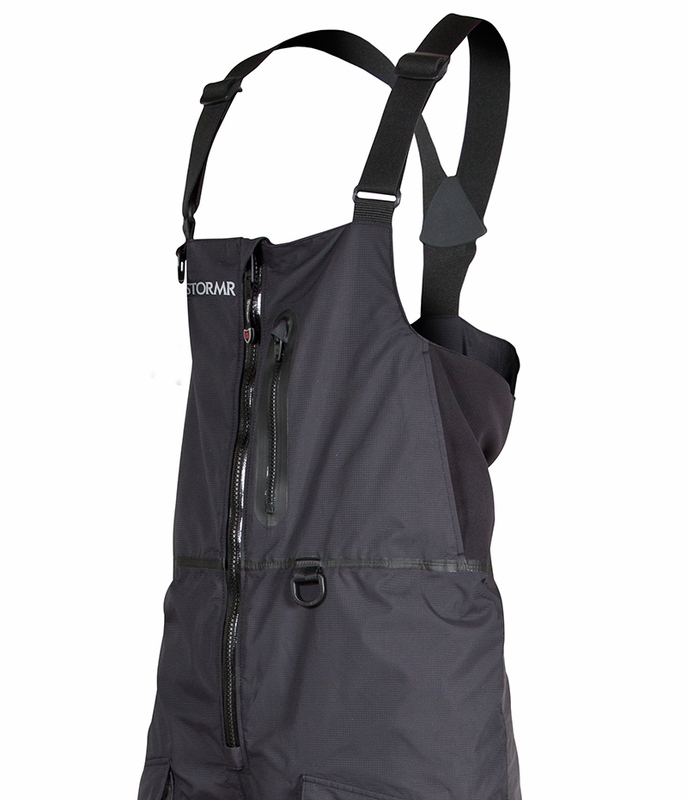 Excellent fit with the adjustable shoulder straps. 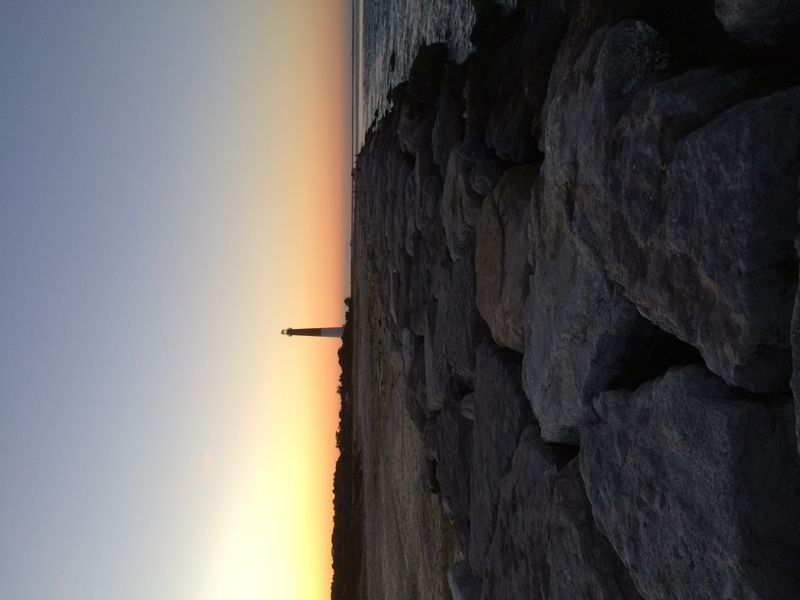 Plenty of pockets with the fisherman in mind. If you put heavyweight or mid weight layers they will also fill your needs in cold weather fine too. At the current price of $129.95 you can't go wrong!!!! Built to last!!! Very comfortable and easy to move around in. I really like the neoprene knee when you have to kneel down. Seem to shed water well. I tried these out on a cold windy day and just enjoyed the comfort they provided. very well built bibs. Reinforced knees and great material used throughout. Still flexible and a great value. Most comfortable bib I've worn. Well made leg zippers add for ease of getting on over high top boots. Fast shipping. The bib is made from great quality and craftsmanship. Durable and comfortable. Just heavy enough to keep warm for really cold mornings on the Texas coast. Easy to remove when it warms up later in the day. Just as easy to get back in. I'm size 36x30 and the large is well "fitted". I'd suggest to go a size up if you prefer a baggy fit or if you plan to wear multiple layers. 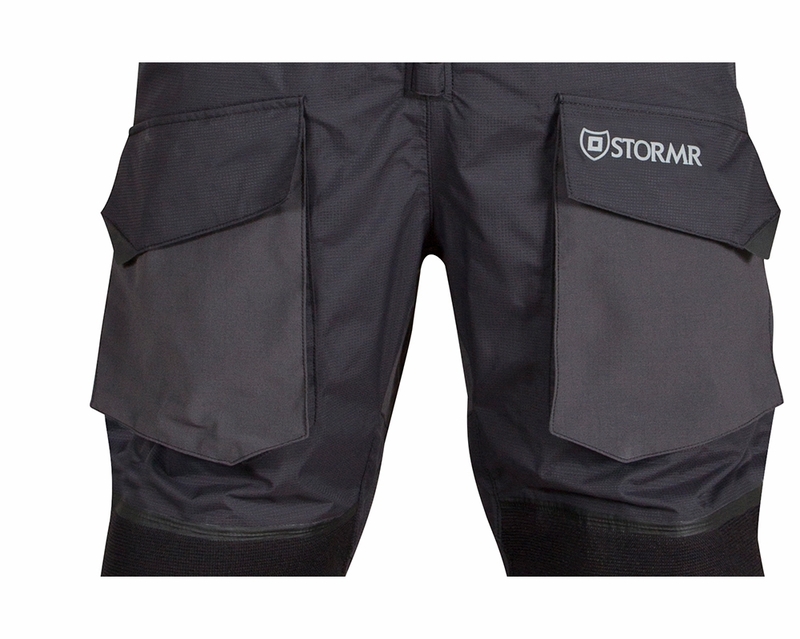 ProsQuality material Suitable for coo, wet and windy conditions while remaining comfortable. Nice product.fast delivery.great price what More can you ask for.tackle direct great company. Great pair of bibs. 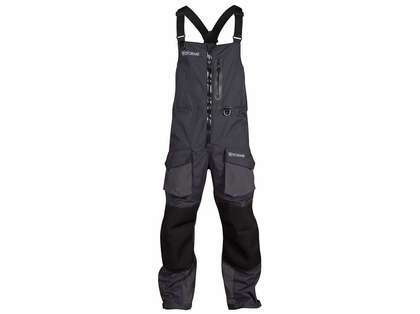 Great for cold weather fishing, very warm and comfortable! However, the sizing runs on the small side. ProsFlexible, comfortable, and warm. Long zippers on the legs make it easy to put on and take off. Very comfortable with lots of conveniently placed pockets. Perfect weight for cooler temps 40deg or so. They run a little in the small side. I am 5'10' 170lbs and normally wear a medium, but ordered a large and am glad I did. I'll waiting to see how they fair in really cool weather. Love the bibs. 100% dry, even if you leave a pocket un-zipped. The seams are amazing, no water leakage at all so far. Does its job...comfortable... And the pocket are a great asset, saves always putting your hands inside of bibs to get things. 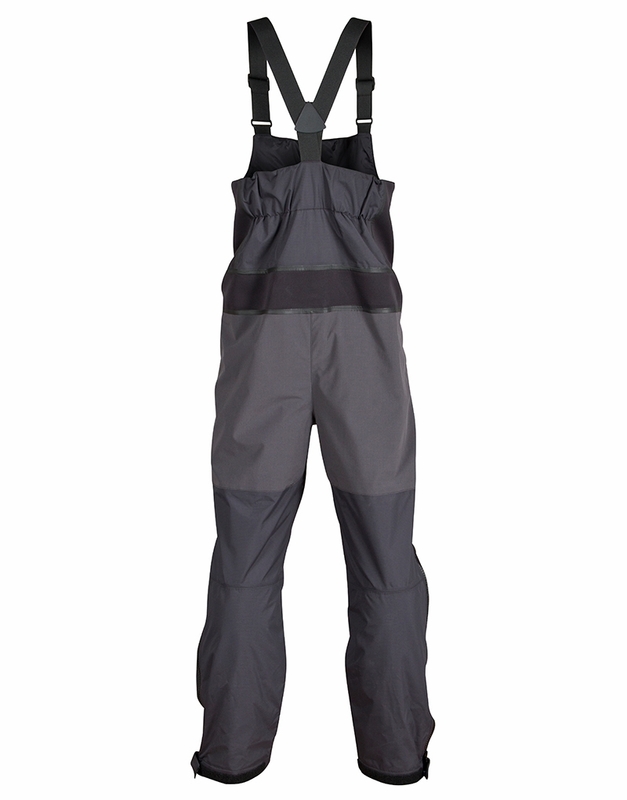 Perfect for boat fishing in rainy or rough weather. Order up a size since it runs a bit small. The quality and value are there. Comfortable yet flexible, very well made. I got these at a fantastic price, they fit very well, and are super comfortable. I haven't had a chance to test them in the rain yet, but am looking forward to fishing this fall, wearing them. The XL might be too long. 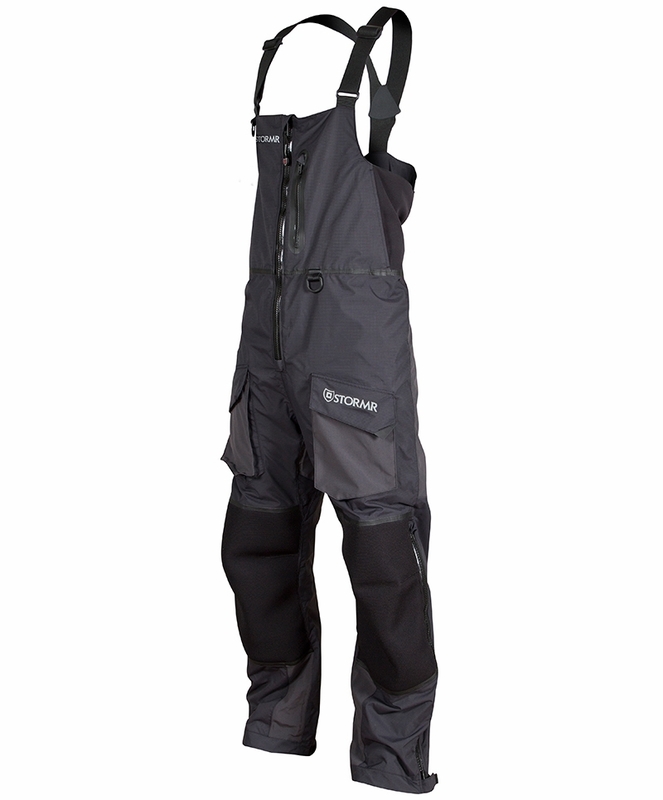 The XL is quoted for 32 inch height and 38-40 waist size . The Large will be a better fit for you. The Stormr Fusion bibs run a bit small. I would recommend the XL. The lead zipper comes up just above the knee. Need help on what bib size I should buy I'm a short guy 5'-5" 155 lb. size 34 waist 28 inseam. would a medium work or a large. For the Fusion bib the large would be a good fit for you. I would like to know how these jackets and bibs fit? I am a large person and do not want to be swallowed up or constricted. I would advise getting the next size up from your normal shirt size.